There’s more than meets the eye in the controversial power franchise issue in Iloilo City. On the surface, it seems to be just a business battle between two companies over the right to operate an electricity utility in a strategic and urbanized area in Western Visayas. But on a deeper level this is a triumph of the little guy, the long-suffering consumer in Iloilo who has had to deal with the static (many say poor) services of its old power distributor, PECO or the Panay Electric Company. It is also one of those rare cases where the consumers’ rights and interests have aligned with those of politicians in both houses of Congress. On one side of the conflict you have this almost one hundred year old company, PECO, which is majority-owned by the old elite Cacho clan with the Lopez family owning 30 percent shares through their First Philippine Holdings Corporation. On the other side is the newcomer MORE Electric and Power Corp. owned by billionaire port operator Enrique Razon. MORE Power is expected to take over the franchise previously held by PECO starting January, 2019. There was a lot of outcry from the PECO defenders over this development. They’ve been trying to frame this in terms of political lines as represented by PECO’s known links with the “Yellow” oppositionists and MORE Power’s supposed ties with the current administration. 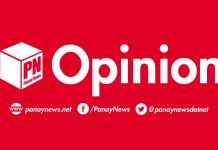 However, a closer examination of the issue shows that more than politics, PECO lost its lucrative license to distribute power in Iloilo City and the rest of Panay Island because it failed to modernize the company and upgrade its services. In effect, it let its customers down. There are reportedly 1,800 pending complaints against PECO by its customers for poor services with the frequent power outrages and service interruptions, a common complaint. The company’s critics say it has failed to invest in new power transmission facilities as seen in the crowded feeders, so-called “spaghetti wires,” sagging and decrepit electricity poles, and old transformers and substations. Then there are PECO’s power rates, which are reportedly higher than those in Manila, Cebu, or Davao. PECO is disputing this, saying that they actually have lower distribution rates compared with other utilities in the country. The most unsettling of the complaints concern the overcharging of customers. Iloilo City Councilor Joshua Alim has recounted several cases where the company supposedly overcharged its clients, including a retired teacher whose regular P3,000 a month power bill suddenly shot up to P178,000. When these customers complained to PECO about the wrong billing, they were reportedly told that they had to pay the bill as charged, that they could pay it on installment. Whatever happened to the dictum of respecting your customers? PECO has claimed that it has already settled most of these complaints of overbilling. PECO may dispute the data but it doesn’t matter if there were 1,800 or 18 complaints. 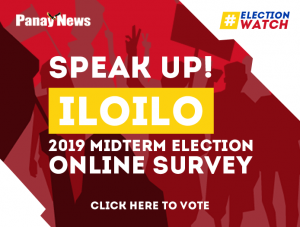 The fact is the company failed to adequately respond to its customers’ complaints to the extent that the Iloilo City Council issued a resolution formally asking Congress to reject PECO’s application for a new franchise. The House of Representatives heeded the request as it declined to act on the application of PECO to renew its license as a power distributor in Iloilo City and Panay Island. According to Parañaque Rep. Gus Tambunting, Congress has received all the complaints filed by the customers of PECO through the years, which eventually led to the House’s decision to grant a franchise instead to MORE Power. “Congress has decided to give the franchise to another company. A franchise is a privilege granted by Congress. We have testimonies of how PECO has been inefficient through the years,” Rep. Tambunting said. Over at the Senate, the decision of Senator Grace Poe to follow the lead of the Lower House in denying PECO a franchise was a surprise to those who thought she was allied with the “Yellow” bloc and therefore would support the Cacho-Lopez families. But Poe is also a child of Iloilo: famously she was found in Jaro Cathedral by a city resident and was later adopted by the Roces-Poe couple. It is likely that she still has connections or a network to the city of her birth and would be highly informed of the complaints of the people regarding PECO. Barring any court cases that may be filed by PECO, MORE Power will be the new electricity distributor in Iloilo. The Senate on November 26 approved on third and final reading the bill granting a 25-year franchise to MORE Power in place of PECO. Earlier, the House of Representatives had also approved MORE Power’s legislative franchise. After the bills of the two houses are reconciled in a bicameral conference committee, they will be sent to President Duterte for signing into law. MORE Power’s Razon vowed to inject P2 billion in fresh capital into the new power distribution business in order to prevent power outrages and improve services. “Clearly, it is time that the Ilonggos are relieved of their misery,” he said. Both houses of Congress have asked PECO to cooperate with MORE Powder in order to ensure a smooth transition over a two-year period. They will also ask MORE Power to prioritize the hiring of PECO employees into their new firm. But if the two companies fail to cooperate, the Department of Energy is ready to force the issue by taking over PECO’s facilities and operations. Energy Secretary Alfonso Cusi said he has already formed a task force with the National Electrification Administration for the possible takeover to ensure that there is no disruption of service to consumers. At this point, it is unclear if PECO will heed the legislative decision or challenge it before the courts. The company’s legal counsel Inocencio Ferrer was quoted as saying said they would seek redress from the Supreme Court even as he reportedly asserted they would not sell their assets to MORE Power. But PECO President Luis Miguel Cacho had earlier said the company would continue to serve the people of Iloilo City even if its franchise is not renewed. For the sake of the people of Iloilo City, PECO should just bow out gracefully.